The following is a guest post from Kamaljit Singh Dadyal who submitted the 5 Linux distributions he would recommend to the Everyday Linux User after reading my appeal. A follow up to this article is coming very shortly but for now here is Kamaljit’s submission. I use it on a daily basis on my new HP Notebook. It “just works” without breaking. I know because I had tried other distros on this notebook, even newer ones, but they all had some or the other problems. So, I am back with this one on my notebook. I could have listed the newer LM 18 here, but I have not yet tried it. I had used this on my previous desktop PC and it too “just works” and is very stable. Nothing compares to the stability of a RHEL base 🙂 But, its a bit outdated now. You can also get the same (similar) experience with CentOS 7 and the nux-desktop repo (the one that is maintained by the same person who created Stella). The only other distro that worked well on my new HP Notebook. But, there are still some bugs present in this distro and they are acknowledged by Canonical. After these bugs are sorted out, this distro will be solid. The 4 and 5 slots get a little bit muddy. Because, I am not yet convinced with the other distros that I have tried. I have tried Ubuntu, Fedora, openSUSE, elementary OS, Android-x86, Sabayon, and Netrunner. Some on my new computer and some on my old desktop PC that is no longer in a usable state. Ubuntu is good but personally I do not like the Dash. I hate the Dash. I have even tried Ubuntu 16.04.1 and was impressed to a point but there were a few problems that I encountered that let me down. The worst problem was no Alt-tabbing out of games running in WINE. So I am ignoring Ubuntu. Fedora did not quite work for me when I tried it. Funny, since Stella (which is based on CentOS, and CentOS is based on RHEL, and RHEL is kind of based on Fedora) worked amazingly good. From the remaining bunch I was most impressed by the Android-x86 project because it is something exciting and may even capture a large PC market if it gets more refined in the future. May be the Remix OS will help Android-x86 to be what it can be. Other than Android-x86, I liked Netrunner. As stated above, I am excited about the possibilities of Android on the PC. Android has most (if not all) apps there is needed for by a daily PC user. And, if this gets off on the PC then I bet that the other distros would feel the pinch. This is based on my old personal experience. I do not know how well this holds now. But, at the time I had tried this distro, it was one of the better distros that I have used. This is a good alternative list of distribution suggestions. Android is an interesting shout but having tried it myself I think something needs to happen with regards to navigation to make it worthwhile. Xubuntu is always a worthy suggestion and it makes a good base for creating the distribution you really want. I tried Netrunner out recently. 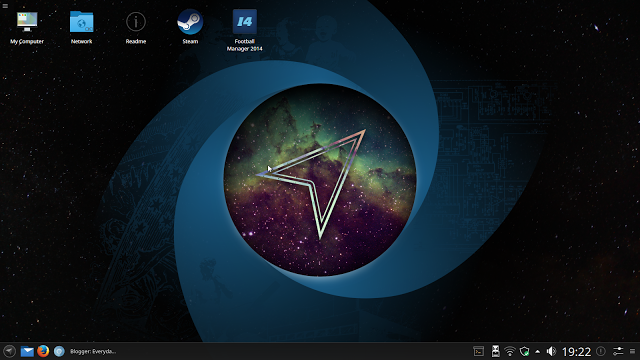 Whilst it is a reasonable distribution I am not personally a fan of the KDE desktop. Netrunner does come with a good set of applications pre-installed. Using Manjaro after trying others. Best distro I've ever tried. OpenSUSE is quite stable too(even the rolling release) but its quite hard to handle if you are a newbie. Most thing that are done to help newbies don't work. 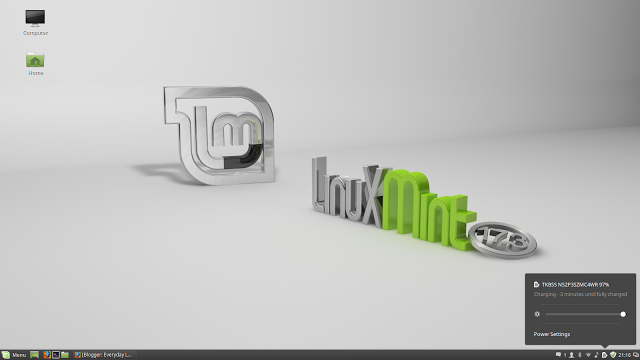 Mint and Kubuntu are quite similar and both working fine. Had no issues. I prefer newer versions of stuff and Manjaro have it all! Both mint and kubuntu are quite behind with KDE integration. Arch is almost as stable but its hard to install and stripped of things people forget they need to install when getting more user-friendly distros. Still after a good setup its usable and stable. I suggest new Arch users to go to Arch-Anywhere fork. Installation process is automated and quite easy. Distro is as stable as arch can be. Once you go AUR, you never go back.